Travelling is fun but travelling alone is also daring, exciting and testing your limits. Travelling alone to known and unknown routes of the world and exploring the beauty of natural and manmade marvels is what solo men do. 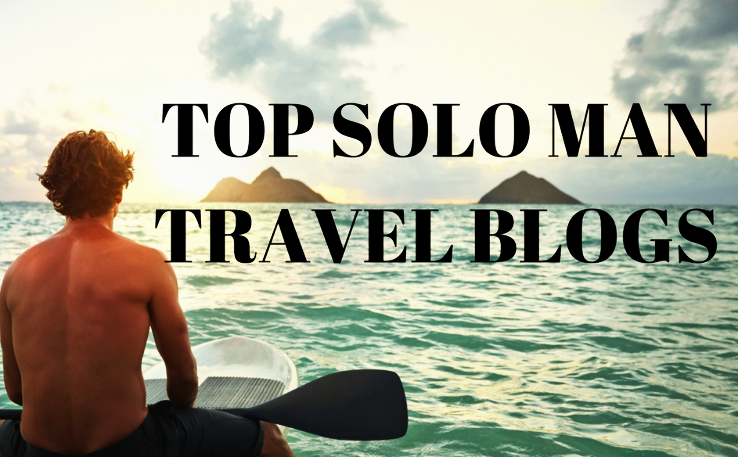 Luckily, these solo men travellers are kind enough to pin down their experiences and share it with the community of travel enthusiasts to give their imaginations wings of facts, knowledge and understanding. Just like every year, here we have compiled a list of Top Soloman Travel Blogs 2018 for you to bust the bubble of monotony and explore the world to satiate your wanderlust. Krishnandusarkar- Krishnandu Sarkar is born and bought up in Kolkata, he is a Software Engineer by profession and a traveller by heart. He loves planning and chalking out budgeted trips and also keeping a tab on convenience. Macrotraveller-Nivedith Gajapathy is an “Experience Collector” who revolves around Travel, Lifestyle, Technology & Food. Be it a shack or a place, forest or tiny roads in towns or major tourist attractions, he would like to experience it all and share his experiences to the world that would help fellow travellers travel better. Yayawar- This traveller humorously calls himself “Awaara kahin ka!” or “Aawaara Kahin ka Nahin!”. He is an IT manager by profession, an aspiring farmer, a techie nerd by expertise, a philosopher by thoughts, an atheist who worships his parents, a traveler who enjoys the journey more than the destination, a responsible but not reckless driver, a father who loves his daughter, but still a nomad by heart who has a firm belief that Homo Sapiens as a foragers and hunter was the best, a nature lover, a true yayawar in the making. Roadaviator- Prateek Goel is roaming across India and sharing his experiences with the world. He comes from a very humble middle background and has always been fond of exploring, discovering, clicking and capturing. Travelmax- Umang Trivedi likes visiting offbeat locations & indulging in adventure experiences the most. He loves exploring mountains and staying in homestays. Iamnothome- Abhi Surendran has been travelling since 2009. He has travelled and explored beautiful islands of Philippines, South East Asia, other parts of Asia, middle-east, Europe, and Africa. He wants to visit and explore, unexplored countries of the world. Escaping life- John Binny Kuruvilla has been travelling since 2014 and loves backpacking, hiking, trekking, mountaineering and photography. He loves exploring different parts of India and sharing his travel experiences to inspire the other travellers. Expert World travel- Roger from Switzerland is a passionate and enthusiastic traveller, travelling around the world. He has visited more than 40 countries already and tries to get out of the house at least twice a year. Blogging from Paradise- Ryan Biddulph is born and brought up in New Jersey and has been travelling the world for over 6 years and is still globe-trotting and island-hopping. Through his blog, Ryan helps other travelling bloggers to learn and have fun while blogging, boost their blogging income, generate more traffic and actually enjoy the ride. Desi Traveler- Desi Traveler is a blog of personal travel stories and travel tips with a focus on travel that connects with local people and places visited by the blogger. The blogger tries to bring pictures that just do not showcase the places visited but also the human element in them. Udhaya : Udhaya Kumar V. hails from Chennai India and is a full time IT Architect working with IBM India. He is a avid traveler and explores new destinations on his bike. He have covered some great trails riding in bullet. He shares all his experiences on his blog. Romancing the Planet: Romancing the Planet is a blog run by Sai a.k.a. Rambow. Sai went on her first overseas trip when he was 22. Since then, he has been traveling the world and accumulating experiences and sharing the same on his blog. Darpan Dodiya :Darpan Dodiya is a 23-year old software engineer who is passionate about traveling, photography, programming and more. His blog is all about his travel experiences. Dedicated to travel, he also supports ious travel projects time to time. The ETLR Blog: The ETLR Blog id dedicated to Eat, Travel, Live, Repeat. Established by Arnav Mathur, the blog is for people passionate about travel. A civil engineer by qualification, Arnav shares some incredible travel tales, food trail stories, and traveling tips that he has tried himself. He started the blog in 2016 and have made it richer since then. Usandeep :Sandeep Unnimadhavan welcomes you to his blog, a place where you can read and experience about the best and unexplored treks and destinations. He is a travel enthusiasts with passion to discover the lesser known destinations and share his experiences with his readers. From South India to North India and East India to West side of the Nation, he has visited some of the most adventurous treks and written about them. Kriss weblog :Kriss founded the blog in 2006 and since then he has been adding incredible stories on-board. It is a travel and lifestyle blog wherein you get amazing information about traveling, fashion and food. Rich content, latest information and quality pictures make this blog amazing. Amitsrivastava :Amit Srivastava’s blog is dedicated to travel, books and reading and science & technology. He writes amazing travelogues, book reviews and science blogs for his readers. He shares really intriguing stories that keep the readers engaged. Lucid Kiwi :Lucid Kiwi is a blog set up and maintained by Alex Gillespie, a 24-year-old man who loves traveling across the globe and writing down his experiences with the rest of the world. He was born and brought up in New Zealand and started backpacking after he got bored with his life as a foreman in a company. Today he is an inspiration to hundreds of people. Sid-thewanderer :Sidhartha, often called as Sid, is a Indian designer and blogger who loves to travel. He also happens to be a photographer and so you can find some amazing pictures all over his blogs. He shares his experiences to ensure people get inspired and have even more wonderful journeys of their own. Digitalsumit :Sumit Sharma is a full-time digital marketer who finds his passion in traveling and blogging about his experiences. His blog is dedicated to share his knowledge and expertise of digital marketing, events, updates, travel experiences and more. Johnmcevoy :Way As Way isn’t a conventional blog but the experiences of a man who loves to travel. Born and brought up in Ireland, John has a lot of life experiences to share that can inspire, motivate or help others in one way or other. He loves writing, sharing videos, pictures and documenting things to share it with his readers. Solo Backpacker :It was started by Avanish Kumar Maurya who is a storyteller. Whenever he gets free time , e steps out from his cacoon , to search his soul , to explore a new place and tell a new story. He like to do whatever his heart says , it can be road trekking , photography , river chasing etc. Prasad Gupte : Prasad is a Product Manager , UX and agile devotee and a geek. His love for traveling has survived an era of backbreaking business trips. He loves spending time with family and friends. According to him , gastronomy is his gift to the progeny , street food being the crown jewel. He likes to share his experiences through his blog. My Travel Tales : My Travel Tales blog was started by Krishna Srivastva Nimmarrju of Hyedrabad. This blog is a good source of information for destination and adventure traveling . It covers adventures like river rafting , bungy jumping , scuba diving , para gliding etc.